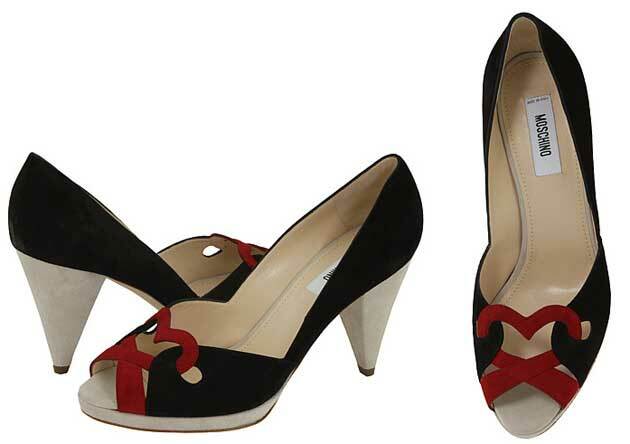 It’s been a while since I showed you a pair of heart-front shoes, so let’s fix that right this very second, with these black, white and red peep toes by Moschino, which are $769 at Zappos Couture. I particularly like the shape of the heart on these, and the way it loops down into the peep toe, making it less kitsch than some of the heart embellishments I’ve featured. I’m also keen on the colour mix, and while my preference is always going to be for a slightly higher heel (these are 3″), the pyramid shape of this one is a nice finishing touch. I love them! If only I had $792 to spare. 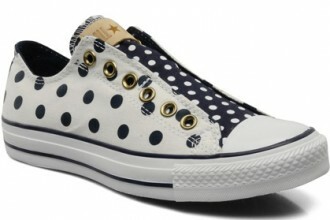 They’re gorgeous and the 3″ heel height is good for more day wear. You’re doing a remarkable job of distracting me from essay writing today! .-= Alex´s last blog ..Fashionably Late to the Shoeper Shoe Challenge =-. I think they’re adorable but if I had to choose between these and the Brian Atwood red shoes… I’d be in all sorts of trouble! For the price they are asking, to me they are nothing special.